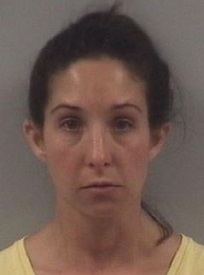 A Johnston County middle school teacher has been charged with a felony and a misdemeanor in connection with a fraudulent prescription for a controlled substance. Jessica Carroll Crawford, age 34, was charged last week with felony obtaining a controlled substance by fraud and misdemeanor obtaining a prescription medication by fraud. A bond for $10,000 was issued for Crawford which was paid and she was released. According to a press release from Benson town officials, the incident was reported by a Walgreens located in the 400 block of East Main Street. Law enforcement reports state that a woman called the Walgreens and claiming that she worked at a local doctor’s office and needed to call in a prescription. Suspicions were raised when the caller ID showed the number in use was a private number and not a doctor’s office line. Further investigation revealed the doctor’s office had not made the prescription request. Crawford was still in the store when police arrived, was informed they had detected the prescription call was fraudulent and was taken into custody. Crawford had also apparently used a false name when making the call. Jessica Crawford taught at Four Oaks Elementary as a 5th-grade teacher before abruptly resigning without giving the required 30 days notice. She had been a teacher at Four Oaks Middle School since August 2017. Prior to teaching at Four Oaks, she taught at North Johnston Middle from August 2014 to August 2017. According to the Four Oaks Elementary school website, Crawford had also previously taught at Warsaw Elementary located in Duplin County. This entry was posted in CRIME, EDUCATION, LL1885, Quiet Epidemic and tagged Jessica Carroll Crawford, Johnston County Schools, Quiet Epidemic. Bookmark the permalink.